The Nationwide Household HR expert, Guy Maddalone from GTM Payroll, joins Deidre & JG to chat about the rules and regulations that homeowners need to follow if they employ any kind of household help. 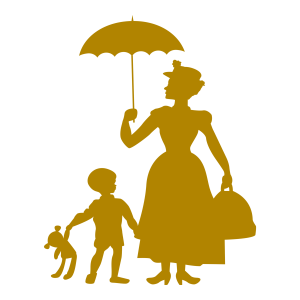 You may not know that the rules involved in employing household workers – which includes; nannies, senior caregivers, housekeepers, or even personal assistants, are very similar to the rules you need to follow as a business owner that has employees! Studies show that out of the 2 million workers that are considered “domestic help workers”, only 200,000 of that population of employees are properly (legally) accounted for. Paying your employees cash under the table, or not having the proper insurance to protect your household employees could lead to steep fines and worse. Have clear conversations about pay. When negotiating pay with your household help, keep in mind the difference between gross pay and net pay. If your nanny says he/she needs to take home $600 week, make sure you keep in mind the additional costs (employer responsible taxes) of employing someone in your home to avoid a miscalculation and, tremendous fines. Set clear guidelines about hours. In addition to negotiating compensation, the number of hours your household help works needs to be spoken about. Don’t forget that home workers are subject to overtime. Figure out how many hours you are going to need them to work and keep accurate records. Lay out the household rules. Much like an employee handbook in a corporation lays out the rules of the employment, a written work agreement should be created for household employees, as well. Create a time off policy, how much notice should they give if they are going to call out sick, what can and can’t they use in your home? If you take the risk of hiring an undocumented worker: These household workers should be treated the same and you need to follow the same rules. Having proof of employment and income might even help them down the road toward becoming a citizen. If your household worker gets hurt while working: Many people think that their homeowner’s insurance will cover the employee’s injuries, but this is not the case. The homeowner will be responsible for paying out of pocket for all medical costs. And, let’s not forget that a worker’s compensation claim that gets in the “system” will trail back to you, the employer, and if you haven’t been classifying this employee correctly the trouble first begins. There are benefits! Giving paystubs to household employees can help them get credit cards or apply for a loan or mortgage. Additionally, they will have the ability to apply for unemployment if they ever need it. Employees will also have worker’s compensation and disability benefits and social security benefits. But most importantly, you and your employee are not committing tax evasion! LISTENERS: Do you have employees in your home? Share your experiences and wiZdoms with us! Either leave us a voicemail at 1-646-653-9278 or send us an email. We may talk about it - or we may even talk with YOU - on the air!